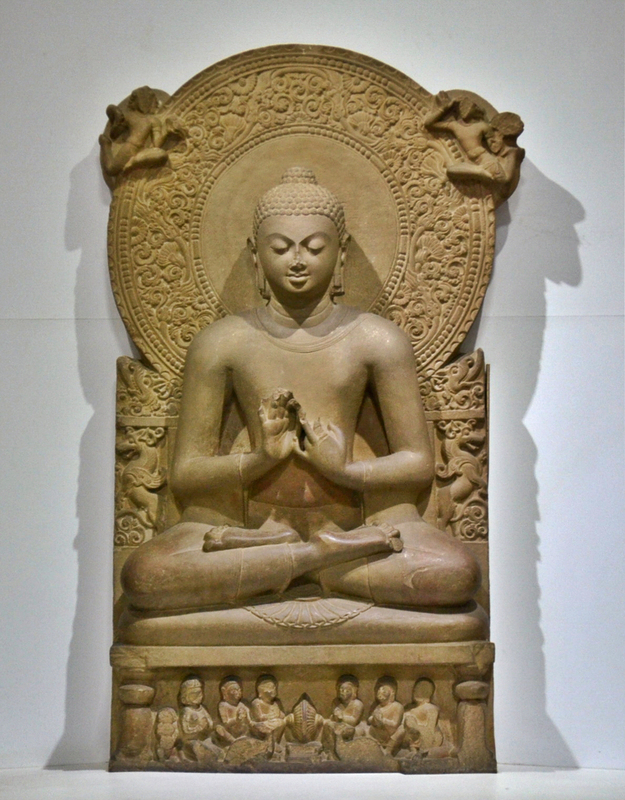 Siddhartha was born in northern central India, in the year of 567 B.C. He was born into the Kshatriya caste. His was birth preceded by a series of visions seen by his mother and prophecies made to his father. The prophecies made to his father stated that he wouldn't be a maharajah but a great religious leader. When he was born his father shielded him from the awareness of the worlds realities. His was trained in the Hindu faith. Something unusual that happened before his birth was when a sacred white elephant, which touched his mother's side with a lotus, impregnated her. He was advised to tutor and guard Siddhartha and to teach him to exercise constant vigilance so that Siddhartha may never experience the realities of life (the predictions). Without health life is not life; it is only a state of languor and suffering - an image of death. Siddhartha began taking trips to a near by city with a servant, and for the first time saw the reality of life. Three things that Siddhartha saw that deeply disturbed him was an old lady bent over with age, a man whose body was ravaged with leprosy and a funeral cart carrying a dead body. Siddhartha could not get the "meaning of life" question "why do people suffer"? Out of his head. He spent many hours a day trying to find the answer in the Vedas but failed miserably. To find the answers to his questions, he first tried to follow the path of asceticism, by denying him physical pleasures and by eating a single grain of rice a day. This failed when he collapsed from anemic exhaustion. He then tried to study. He spent many hours a day reading the Vedas, looking for clues on life's mysteries. During this period Siddhartha's life was very boring and simple. He was not successful in finding answers because he was looking in the wrong places. Siddhartha was almost about to give up when he decide to meditate under a tree for as long as it would take for him to become enlightened. He spent forty-nine days and forty-nine nights meditating, on the fiftieth day he awoke enlightened. He was now known as Buddha the enlightened one. This was the beginning of a new religion. He wanted to share his insight with everyone. The monks that abandoned him back in his ascetic period rejoined him. Buddha died when he was more than eighty years old, of food poisoning. We are shaped by our thoughts; we become what we think. When the mind is pure joy follows like a shadow that never leaves.